Being the number one travel destination pays off. This past summer, research from the College of Charleston School of Business’ Office of Tourism Analysis was used to determine occupancy rates for vacation rentals on Folly Beach, Isle of Palms and Kiawah Island. The research found that 86 percent of vacation rentals were occupied in the month of July, a 10 percent increase from 2014. June showed a 12 percent revenue increase. Researchers in the Office of Tourism Analysis prepared the report using numbers provided by Avocet Hospitality Group for Folly Beach; Island Realty and Wild Dunes Resort for Isle of Palms; Kiawah Island Golf Resort; and Wyndham Vacation Rentals for Isle of Palms and the Kiawah area. The Charleston Area Beach Communities Vacation Rental Report Project is funded in part by a grant from the Charleston Area Convention and Visitors Bureau. The project started in 2011 and is based on the research of hospitality and tourism management assistant professor Brumby McLeod and is led by Melinda Patience, research coordinator in the Office of Tourism Analysis. This research identifies the impact that the vacation rental market has on the Charleston area. Last year, the Office hosted a first-of-its-kind summit to bring together management companies and representatives from each beach community. 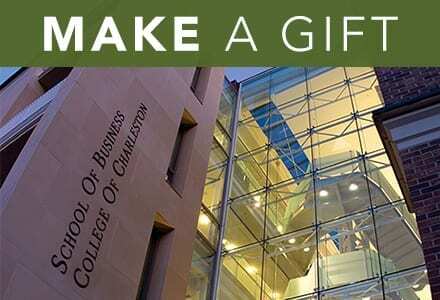 The Office of Tourism Analysis is part of the College of Charleston’s Department of Hospitality and Tourism Management and is supported by industry and community leaders charged with proposing the office’s research priorities. The Office collaborates with the Charleston Area Convention and Visitors Bureau to provide information for the hospitality and tourism industry throughout the Lowcountry.